Long time no see/write?!? I’m still sailing along in this pregnancy with our BABY GIRL! I am seven and a half months pregnant today and I cannot believe how fast it is now going by. Adding a baby girl to our mix means that I finally get to make bows, pants with ruffles, and all sorts of things I never had the chance to do with two boys. First on my list was a diaper bag I actually liked. I have had the same plain black Jeep diaper bag since my oldest was born four and a half years ago. While I don’t currently carry a diaper bag, I will need one when our sweet baby Rowyn Scarlett gets here. I’ve had this pattern in my drawer for FAR longer than I should admit. I kept meaning to use it and just never got around to it. After finally making my nursing cover, I decided it might be fun to finally dive into this pattern. 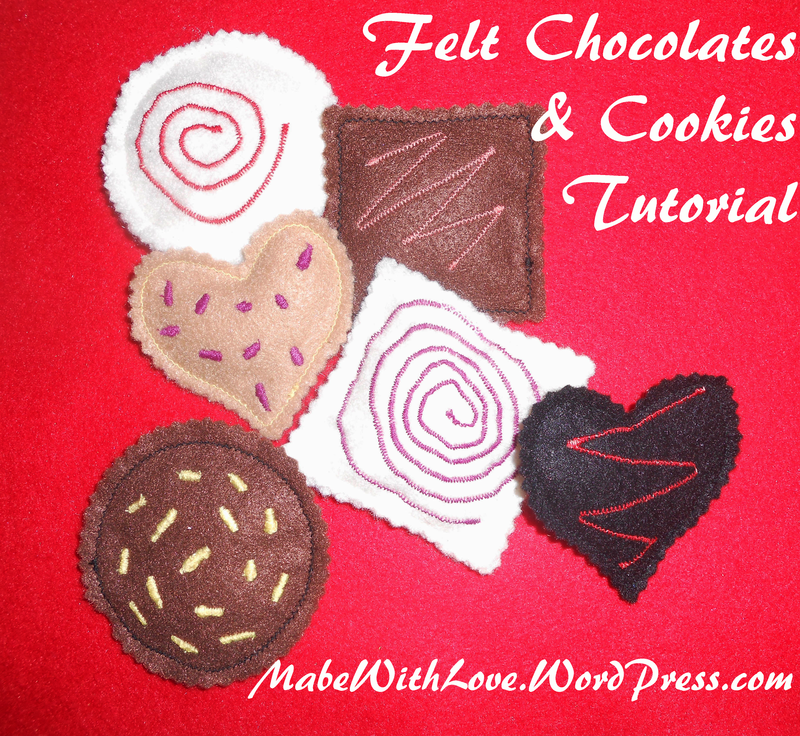 The pattern is very detailed and easy to follow, I love Fishsticks Designs patterns for this reason. I would NOT say this is a pattern for beginners. You need to be highly organized and label all your pieces because there are A LOT to keep up with. You also need to have a couple days or afternoons set aside to work on it. Between cutting out all the pieces and sewing, I spent about ten hours on this bag. I’m not really a fast or slow sewer, just kind of average I’d say. 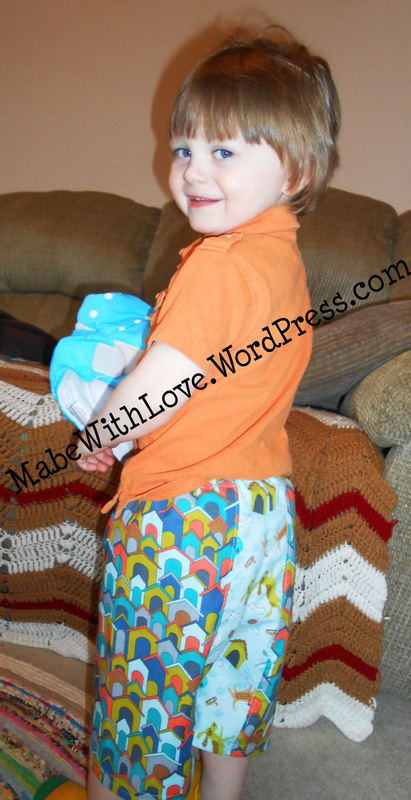 I can make a pair of baby/toddler pants or a diaper cover in half an hour. Or a pair of kid pants in half an hour to an hour depending on detail. The bag is MUCH more involved than those, but I do LOVE this bag and pattern. All in all, I think this bag is going to be GREAT for cloth diapers. It is super roomy and I truly cannot wait to pack it in a few weeks after my baby shower. The fabrics I ended up choosing were gifted to me and they suit my personality and taste SO well! They also match the nursing cover I made which is just fun for me. 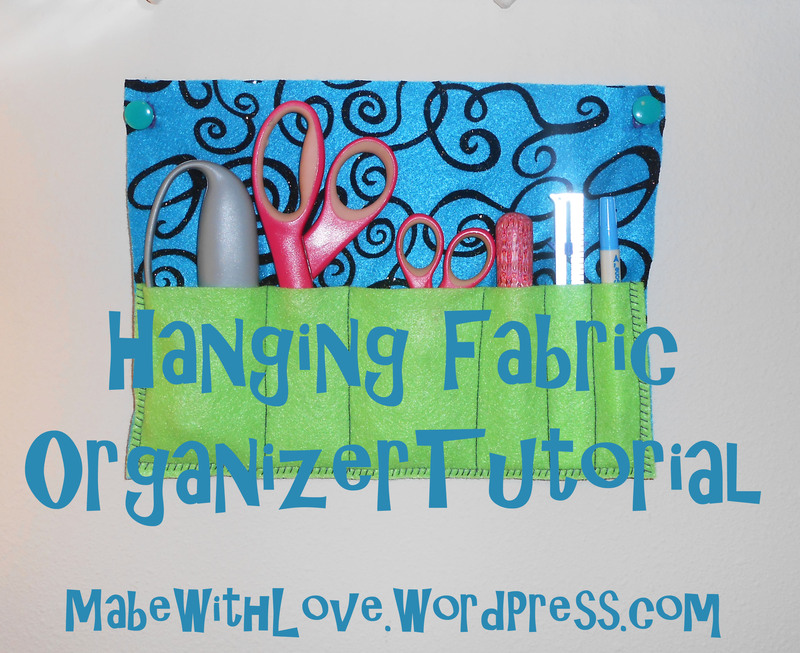 The bag is super roomy, has TONS of pockets from standard to elasticized, even a zippered pocket. I’m definitely far more in love with this bag than I ever was with the Jeep one! *Click on a picture to view it larger and read the description. A front with four pockets – two regular and two elasticized. And a snap front closure. Did I mention I love zippers?!? Divided inside with more pockets and LOADS of space. Inside elasticized pocket. 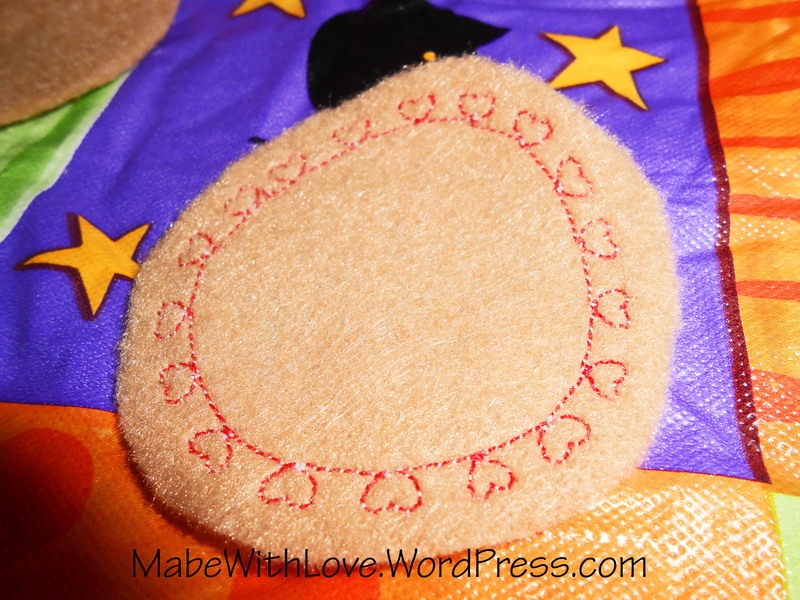 Great for diaper pins, creams, all the million things you will lose otherwise. Lots of room for cloth diapers! 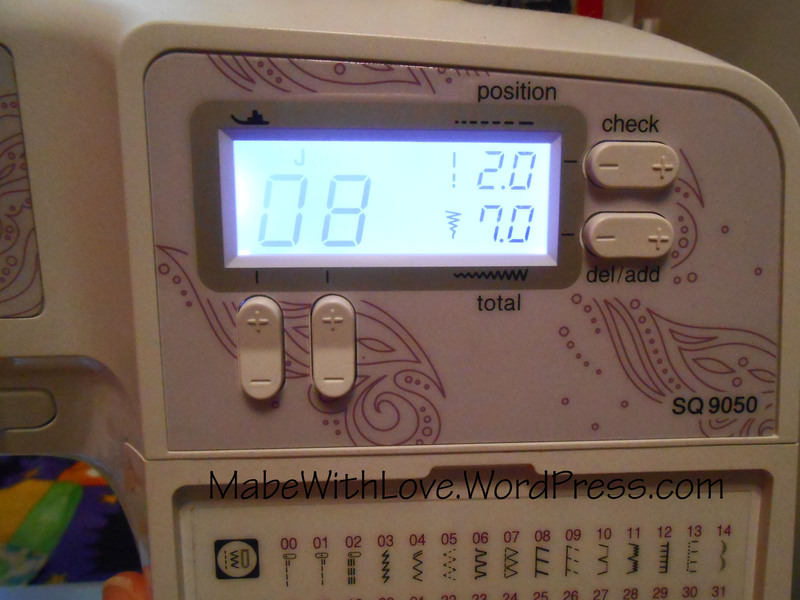 While I’d love to tell you guys that I’ve been busy sewing and have tons of new projects lined up for the blog, I sat down at my sewing machine for the first time in several weeks today. Instead of sewing or writing, I’ve soaked up this final pregnancy and have been basking in all the glory that is non-stop morning sickness for three months. Baby Boo is sixteen weeks old (gestational age) today and the morning sickness is improving ever so slowly. 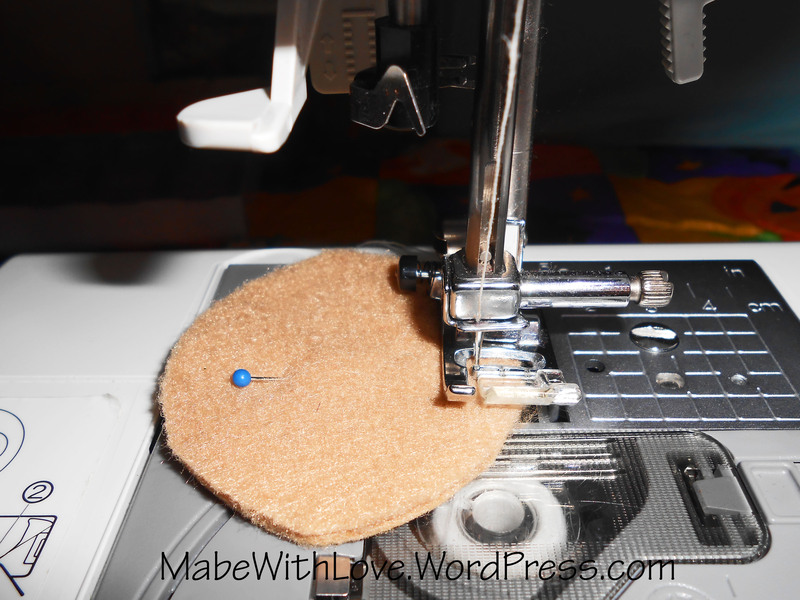 Which means that hopefully sewing will be back in full swing soon with new projects for you! 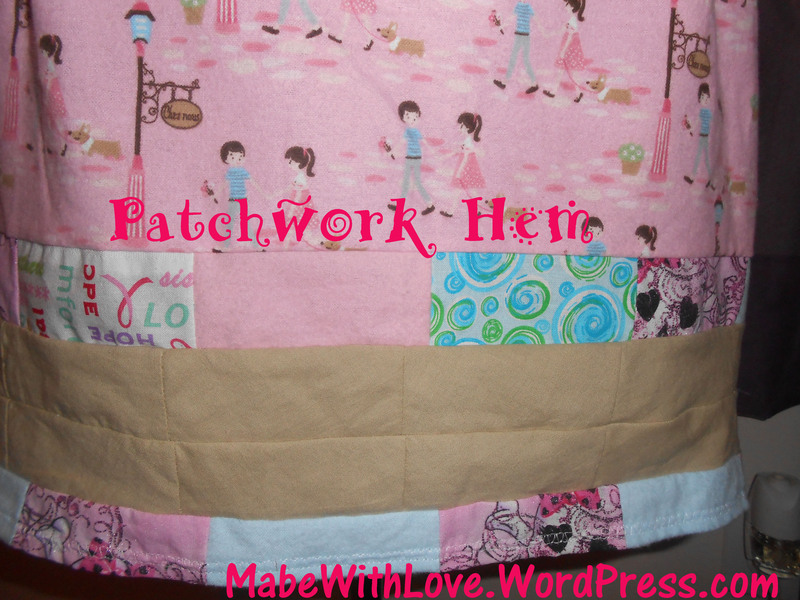 Today’s sewing adventure was a gift for my son’s speech pathologist. I haven’t talked about my son’s speech apraxia on the blog before, but he started speech therapy at the beginning of this year and we’ve seen him blossom and improve his speech SO much. He’ll get a new pathologist when he starts school in the fall, but we wanted to show our appreciation for all that our current pathologist has done for him. My son loves superheroes and his teacher has been kind enough to include them in his therapy. He can say almost all their names clearly now which is huge! I of course included him in the gift for his pathologist and he went the superhero route! 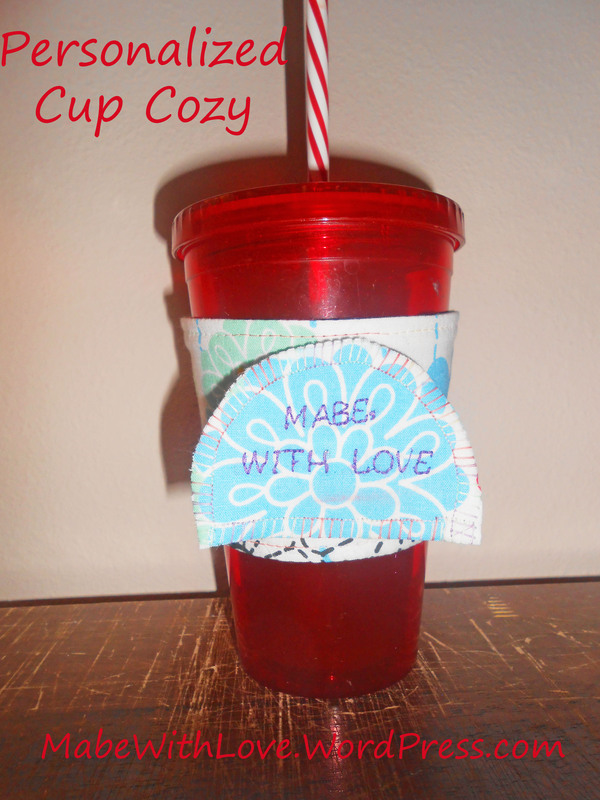 He picked out the super cool Avenger’s cup and we used my sewing machine to make a cozy (complete with superhero cape!) for the cup. 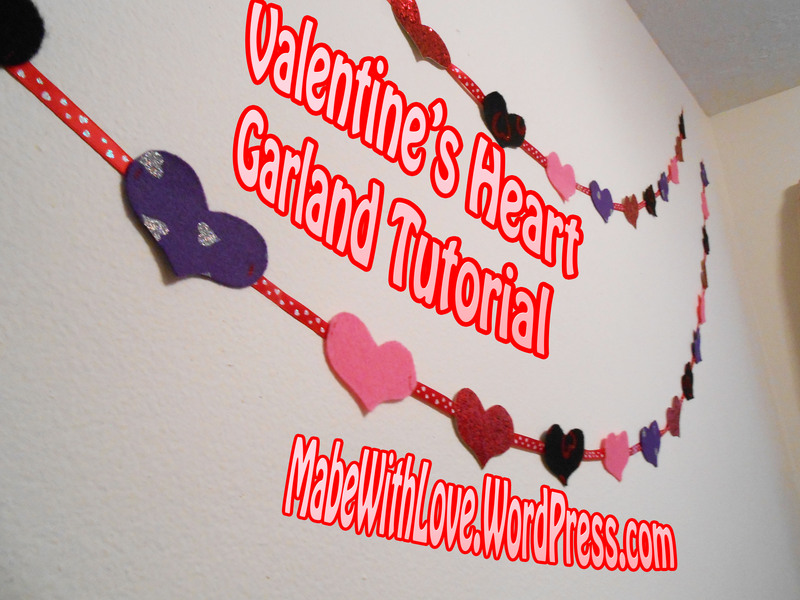 I hope you enjoy our fun little project, what gifts have you given your children’s teachers? 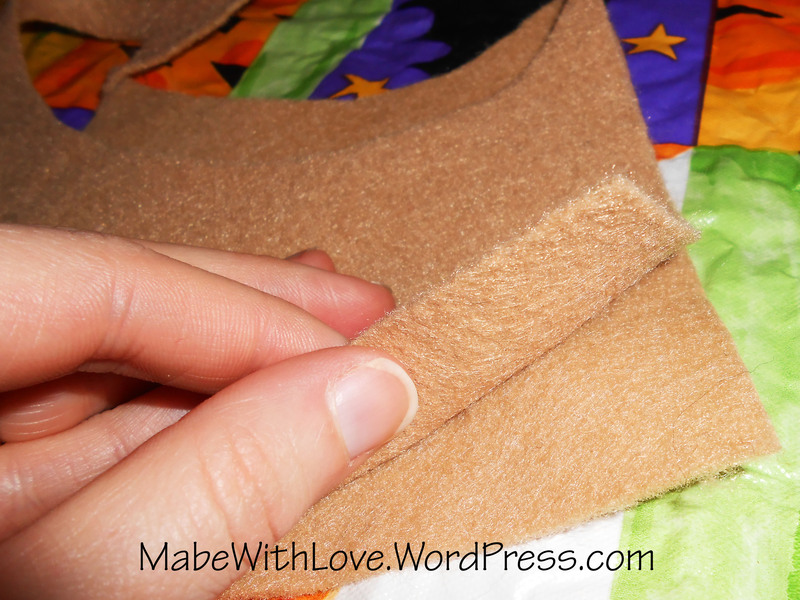 My absolute favorite thing to sew is children’s clothing. It’s small, it begs to be cute, and it’s fun! 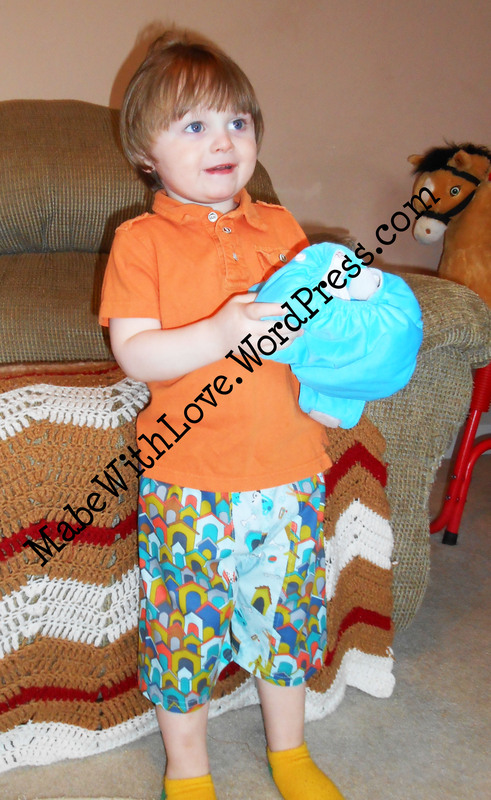 I make my children a lot of light weight pants from cotton fat quarters. The elastic waist is potty training and cloth diaper friendly and they’re super comfortable for all the moving around and playing kids love to do. One of the best things about being able to sew is that you can add a bit of you to almost everything in your life, beverages included. If you drink a lot of coffee like me, you know that the cardboard cup cozies don’t do much to protect your hands from the warmth of the beverage. 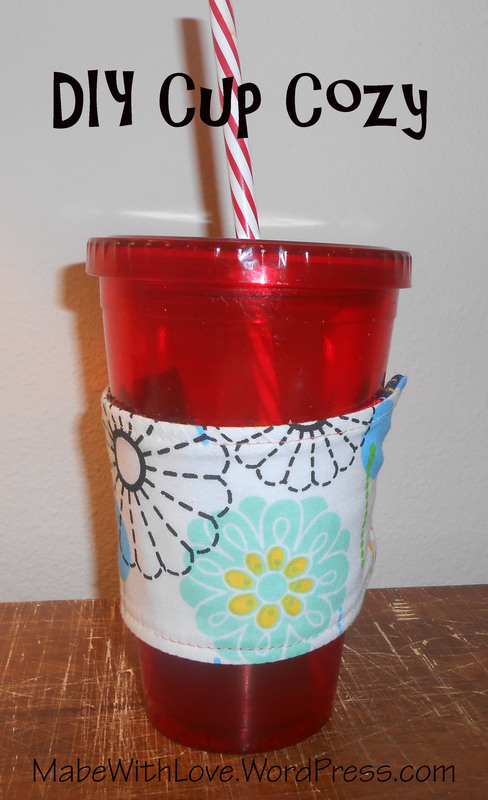 Luckily, making your own fabric cup cozy is very easy and highly customizable. 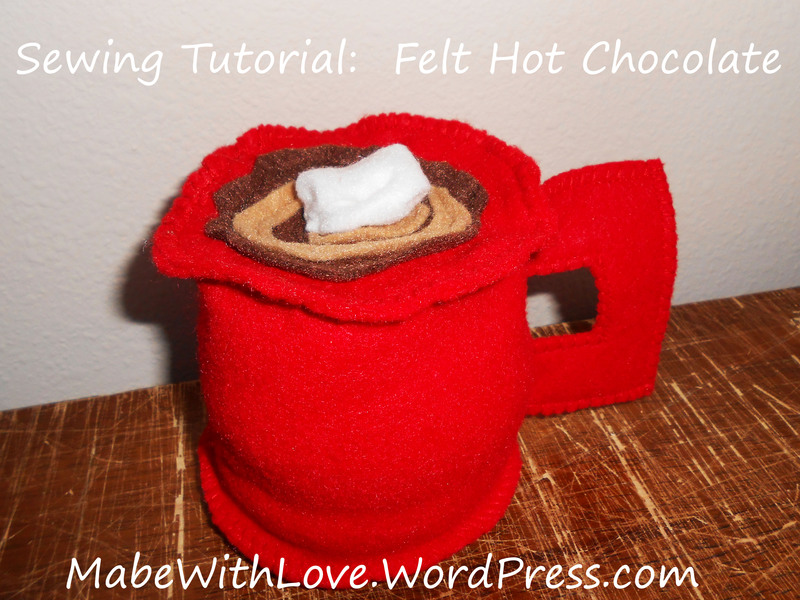 The detailed and illustrated Cup Cozy Tutorial PDF: Cup Cozy Tutorial. 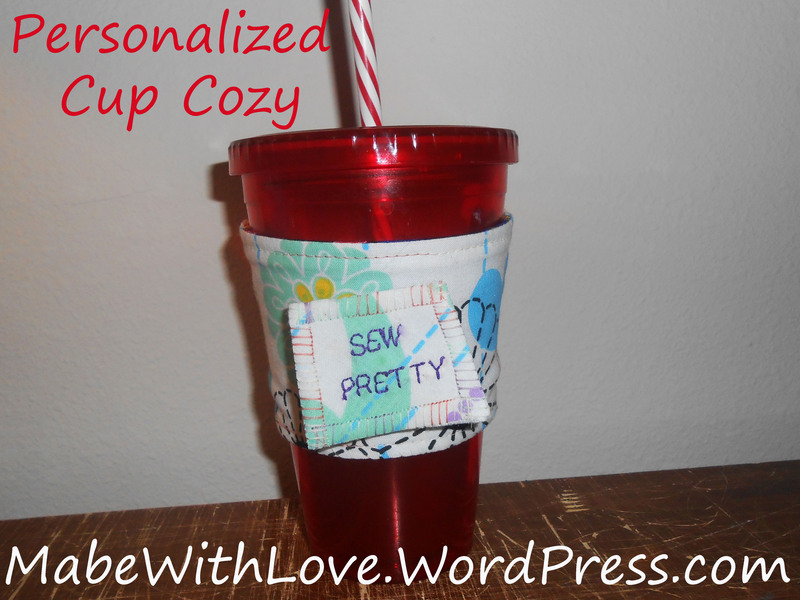 *Join us next week and we’ll show you a way to customize your cup cozy! 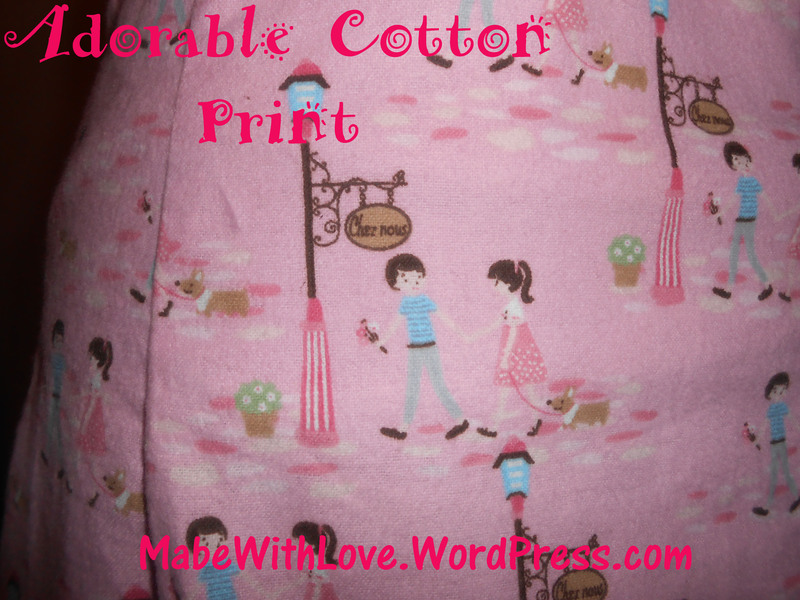 I love a fun cotton print. Pair that with a piece of clothing that is versatile and I’m sold. 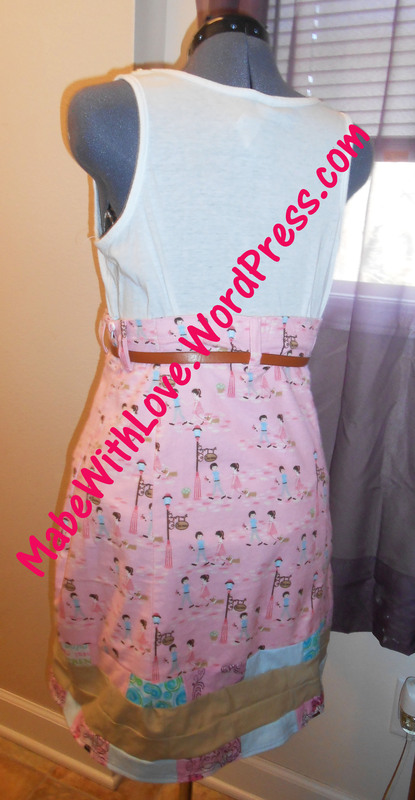 I originally made this skirt last spring as a flowy skirt with an elastic waist band. It wasn’t very fitted and was one of my first forays into sewing clothing for myself instead of children. It was cute, but it rarely got worn because it just wasn’t the most flattering thing in my closet. The last couple of months I’ve taken an interest in altering and fitting clothing. I had a closet full of items that were too big and slowly but surely I started working my way through them all. 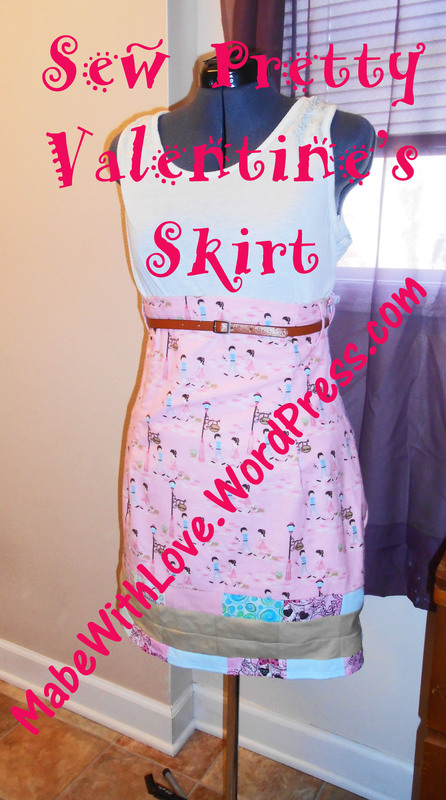 With Valentine’s Day around the corner, this skirt kept calling to me. I pulled it out, put it on Amelia (my dress form) and got to work. First I took in a bit on each side and added a zipper. Then I started draping and pinning. I tried a few configurations but ended up with the finished skirt you see here. It was really fun to take this skirt from shapeless to a fitted, fun piece of clothing that will get a lot of rotation in my wardrobe. 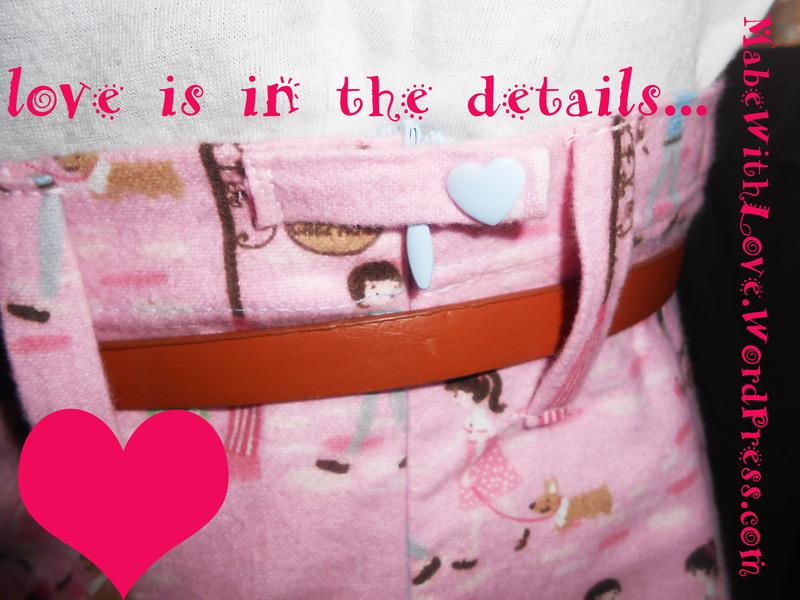 The little details like the peek-a-boo blue invisible zipper and the adorable blue heart snap made it all the more fun. 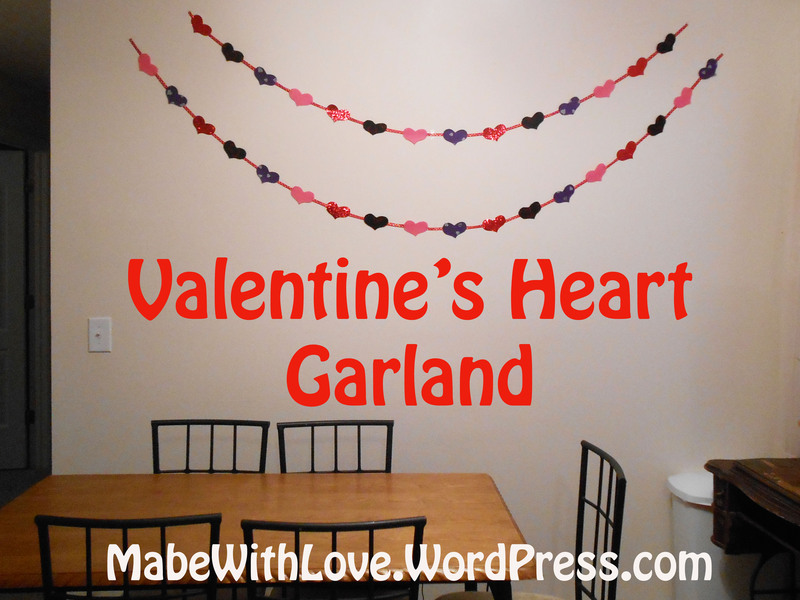 And, I think this print is perfect for Valentine’s Day, don’t you?